We can offer a beautiful venue for your wedding reception, private or corporate event. We have an eating shed which comfortably seats 24 and a large car free field. You do not necessarily have to stay in the tents to take advantage of this, we would be happy to discuss this personally with you so as we can tailor an event to your specific needs. Boswarthen is a blank canvas for your event, whether it is a wedding, a family gathering or a corporate event. 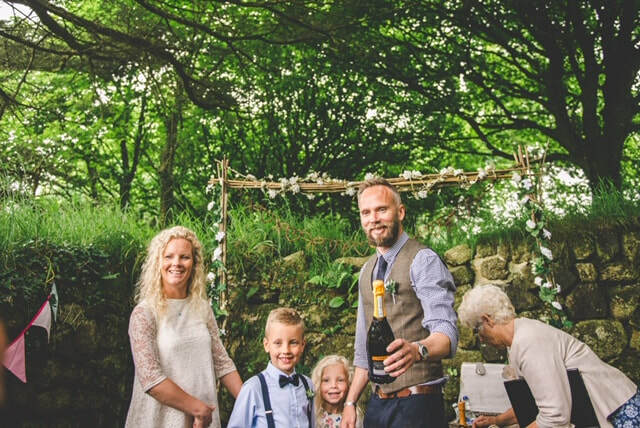 An opportunity to have an outdoor bespoke wedding of your choice, where your guests not only enjoy celebrate your big day but enjoy a pre wedding party, take joy in getting ready together, travelling to the Wishing Well and share the intimacy of your special day from start to finish. 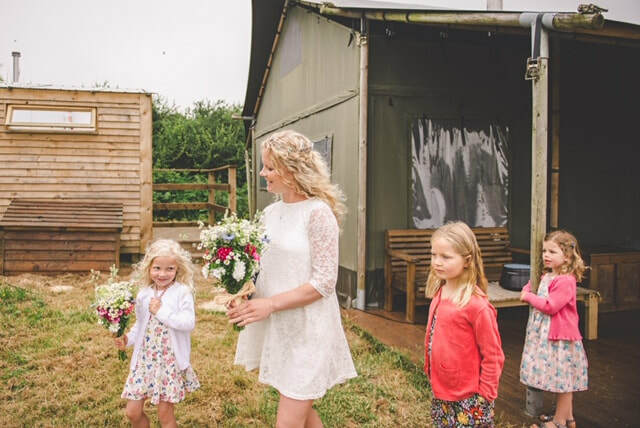 We have the space for a marquee if our rustic eating shed is not big enough. We have the views and we have the time to help you plan your celebration. The Celtic Chapel nearby is the perfect venue for an intimate blessing or ceremony, often described as beautiful, calm and spiritual. 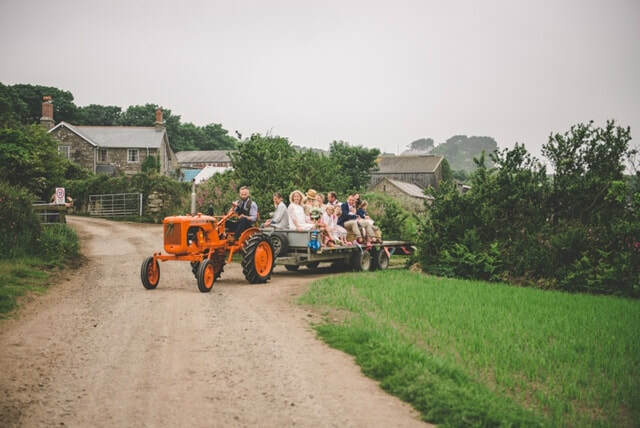 Imagine a tractor ride down the farm track for you and your guests, where wellies could be part of your dress code. If you didn't want to do the catering yourselves then we have many trusted, local suppliers in the area, who offer a wide variety of menu's. 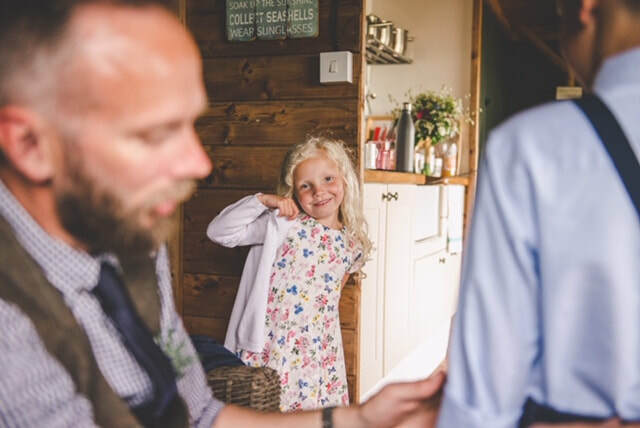 From a simple picnic or bbq to a hog roast and beyond, your budget can go further then you thought. 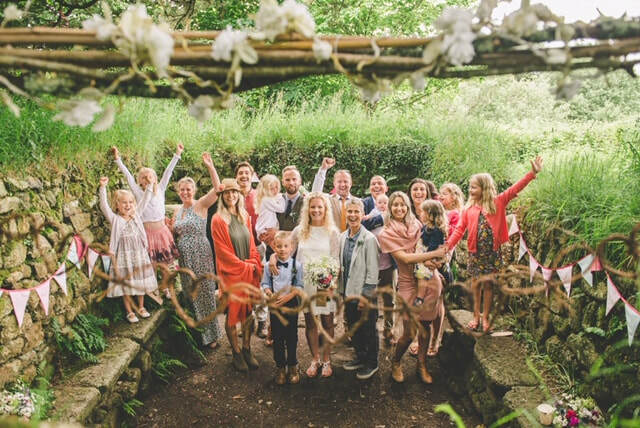 Whether you want boho, low waste, quirky or just unusual - you can be sure that it will be a relaxed and informal affair. 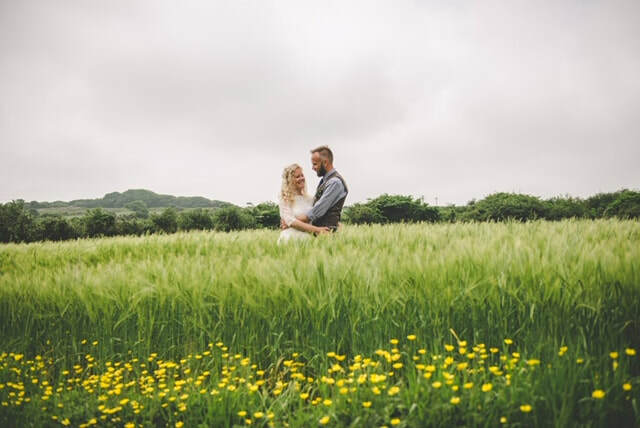 We could write many things about Boswarthen but if you are planning a celebration or an event, why not contact us, I know we can help.